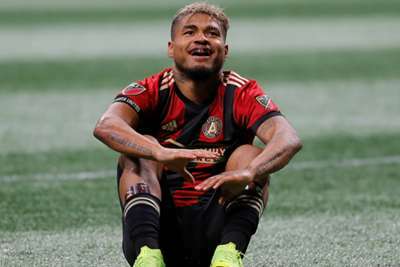 Atlanta United star Josef Martinez became just the fifth player to win the MLS Cup and regular-season MVPs in the same season. Martinez, 25, opened the scoring before assisting Franco Escobar as Atlanta were crowned MLS Cup champions after a 2-0 win over the Portland Timbers. The Venezuelan has enjoyed a record-breaking season, scoring 35 goals, and his performance on Saturday saw him named the MLS Cup MVP. Martinez joined Tony Meola (2000), Carlos Ruiz (2002), Guillermo Barros Schelotto (2008) and Robbie Keane (2014) to add that award to the MLS MVP prize.